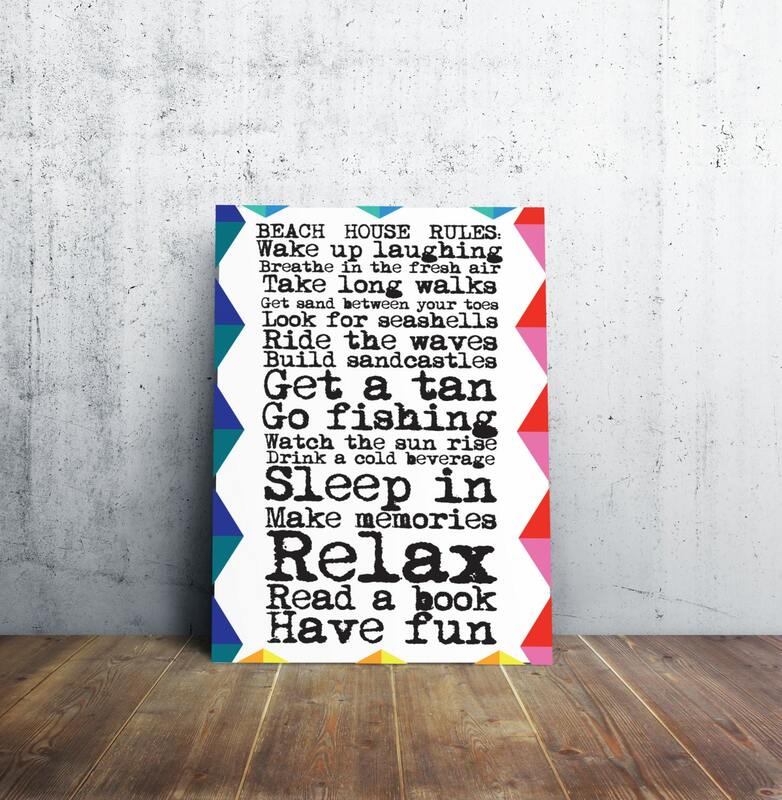 Beach House Rules - Colorful Poster - Sign! Beach House Rules to Live By! This poster size is 24x36. Fun artwork to hang on your wall.